Our pom pom obsession continues. 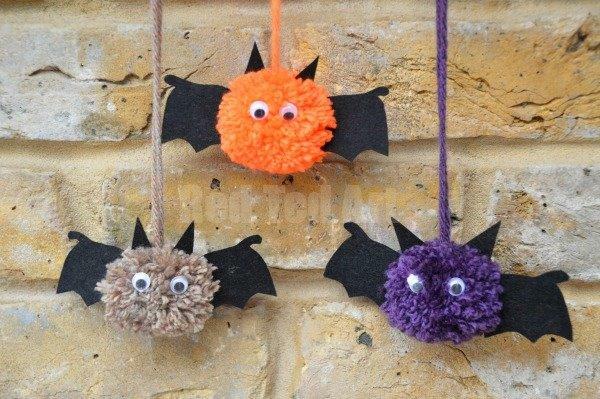 Last week we shared some cute little Hedgehog Pom Poms (just SOOOO lovely for Autumn Play) and now we have some pom pom bats.. They are rather cute, if I say so myself. And we have more pom poms to come. 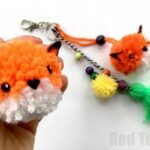 As I mentioned before, since I bought the biggest stash of wool EVER, the kids and I can’t get enough of creating and inventing new pom poms (check out all the pom pom making we have been getting up to and this great way for How To Make Pom Poms – 7 different techniques). So today, I share with your our little Pom Poms Bats. 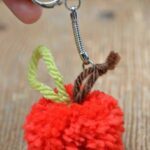 Use them as Halloween Decorations, play with them, or attached them to your Zipper Pulls or turn them into Bat Keyrings.. there are so many ways to play with and enjoy your pom pom crafts! 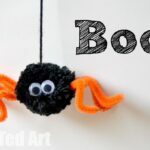 We made our bat pom poms using a pom pom maker (info below), however, they are super easy to make and you can use any pom pom maker method you want. 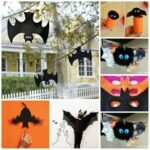 I do also think that these Bats make for a great and easy Fall Garland DIY Idea! 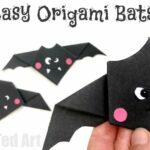 They make great pencil toppers and Key Chains too – perfect for Non Candy Halloween treats! Watch the video or follow the step by step instructions below! 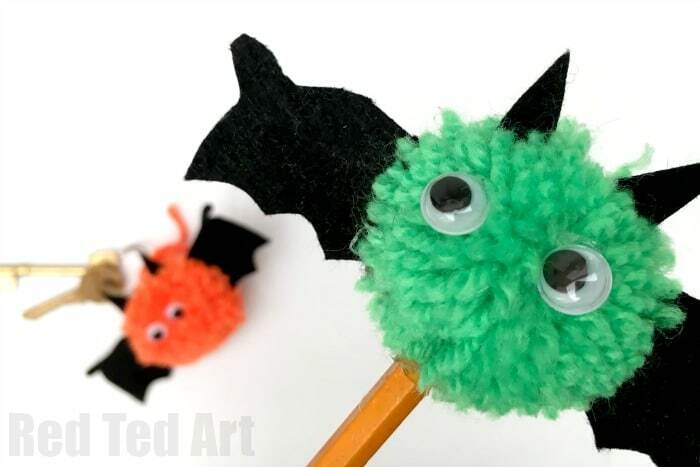 The video shows how to turn your pom pom bat into a pencil topper too! 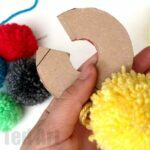 1) Make your basic pom pom (here are step by step pictures to show you how to use a pom pom maker). 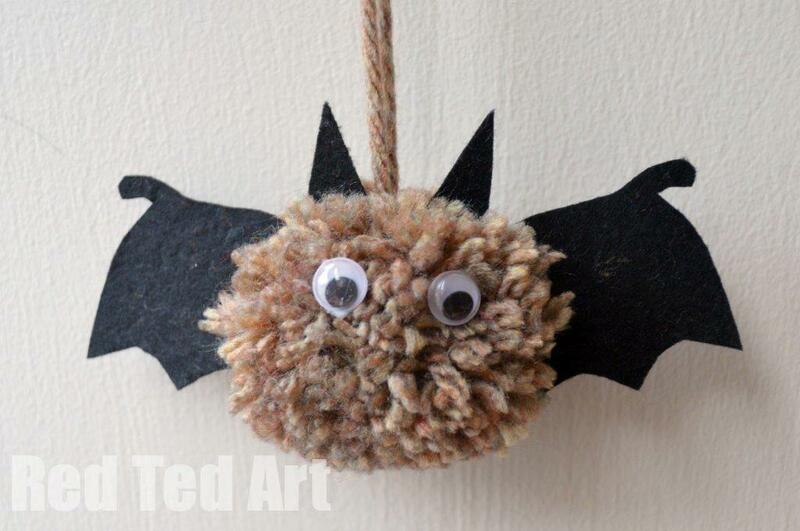 I find that pom pom makers often make a slightly oval pom pom, which works just lovely for a bat pom pom. 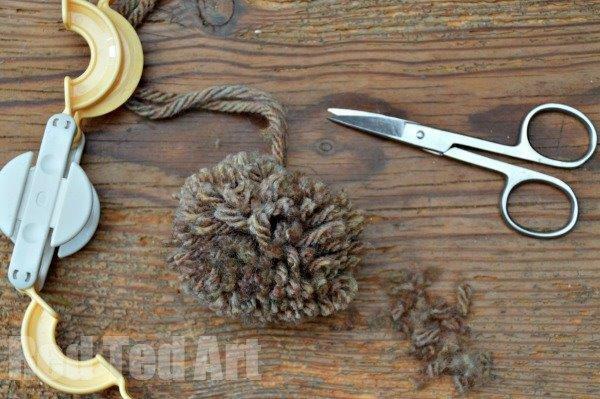 But a round pom pom of course is totally fine too! 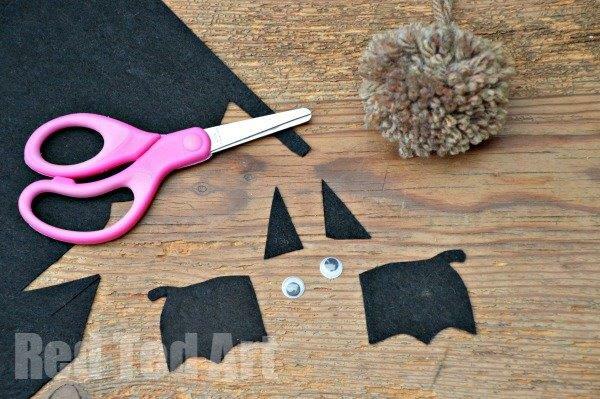 2) Once your pom pom is made and trimmed (if needed), cut our your “bits and pieces” – bat wings, ears and get your eyes ready. 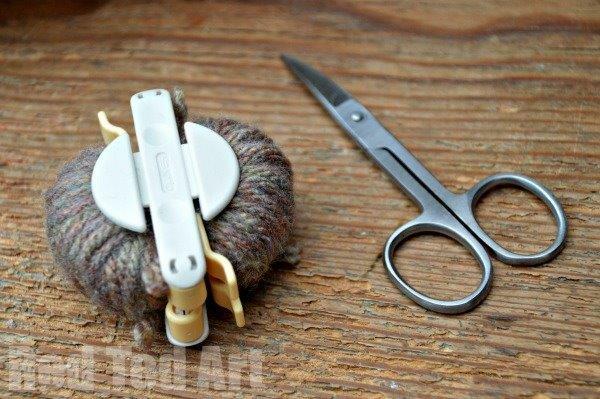 3) Glue on, by adding plenty of glue to the side of your wing, part the wool pom pom a little and insert the wing and squeeze the pom pom wool “closed” again, repeat for the other “parts”… and done. 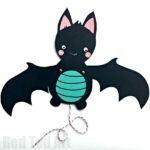 You have made your first Bat Pom Pom! Easy peasy lemon squeezy! 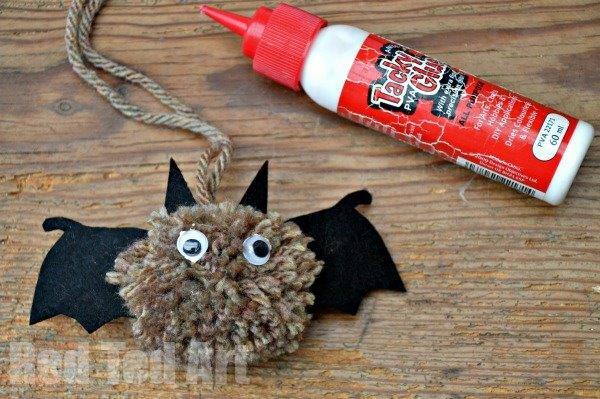 Make more and more Bat Pom Poms. I like using different Autumnal colours to steer away from all the traditional “blacks” that you get at this time of year and to brighten things up a little! 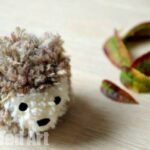 We have 25 Pom Pom Crafts to inspire you! Is there a tutorial for the wings and ears by chance.